Did Fox and NBC get Bowe Bergdahl story wrong? Why did three separate military spokesman deny on Tuesday that a decision has been made to charge Sgt. Bowe Bergdahl with desertion? Because of an inflammatory Fox News segment and an anonymously-sourced NBC News story that sent reporters scrambling for information. The Fox and NBC stories prompted strong denials from Pentagon officials. "The reporting from Fox News and NBC on Sgt. Bowe Bergdahl is patently false," Army Major General Ron Lewis said in a statement Tuesday. "Let me just put a fork in this right now if I can," Rear Adm. John Kirby said at a news conference Tuesday. "No decision has been made with respect to the case of Sgt. 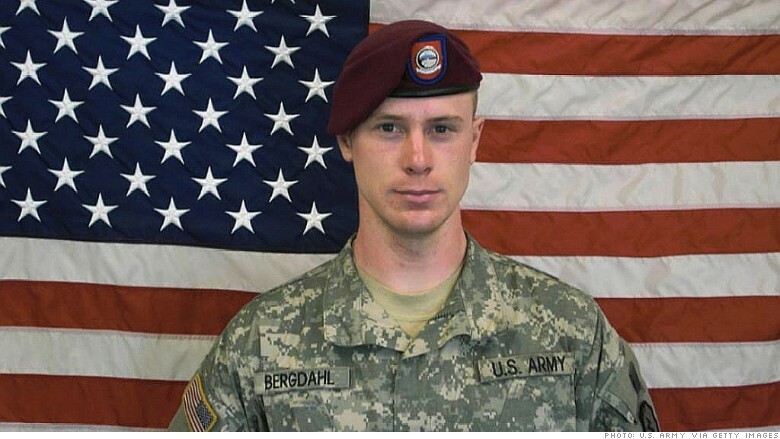 Bergdahl. None. And there is no timeline to make that decision." Another official called the Fox News report "speculative in nature." But the Fox guest who originally made it a story said Tuesday night that he stands by what he said. Bergdahl, a prisoner of the Taliban for five years, was released last summer in exchange for five Guantanamo Bay detainees. He indeed may be charged with desertion, and CNN's Barbara Starr reported on Tuesday that a decision may come very soon. But the Fox and NBC reports explicitly said that the decision had already been reached. And the Fox segment strongly suggested that the White House was resisting the desertion charges. On Monday's edition of "The O'Reilly Factor," guest Tony Shaffer, a retired Army Lieutenant Colonel, said he'd been told that "the Army has decided that they want to pursue Bergdahl for this violation." Shaffer also claimed that Bergdahl's attorney has been given a "charge sheet." Starr's reporting has directly contradicted that: "Several military sources tell CNN that as of Tuesday morning," Gen. Mark Milley, "who is reviewing the case, has not signed or forwarded a charge sheet." Host Bill O'Reilly said Monday "we hear that the White House has been stonewalling this information," spurring Shaffer to say "Bill, this is shaping up to be Titanic struggle behind the scenes." Shaffer has been mired in controversy before. In 2012, he claimed on Fox that President Obama was "in the White House Situation Room in real-time watching" the attack on the U.S. consulate in Benghazi, Libya. That conspiracy theory has been thoroughly refuted. Fox's morning show repeated Shaffer's assertions about Bergdahl on Tuesday morning. "Is the White House covering up?" co-host Steve Doocy asked guest Laura Ingraham, who answered, "Well, it certainly seems like it." The race was on for other news organizations to confirm Shaffer's assertion. NBC seemed to do that at 10:30 a.m.: "Bergdahl will, in fact, face charges of desertion after walking off his base," the network's veteran Pentagon correspondent Jim Miklaszewski said on MSNBC. He cited "senior defense officials." The assertion was repeated on MSNBC right before a 2 p.m. Pentagon press conference. The channel didn't carry the press conference live, though. At the press conference, Kirby said "I think it is extraordinarily premature for anybody to say that they know" what Milley "is going to decide and when he's going to decide it." By 6:30 p.m., the "NBC Nightly News" was sticking with "senior defense official" sources, but with a modifying word: the sources, Brian Williams said, are telling NBC that Bergdahl "likely will soon be charged with desertion." Fox's 6 p.m. newscast "Special Report" included a story about the possibility of charges against Bergdahl and the Army's "swipe at the media," without explaining that it was "The O'Reilly Factor" that triggered that swipe. O'Reilly returned to the story on Tuesday night. "They're calling you a liar," he said to Shaffer, who seemed to double down. "I stand by all of those facts," Shaffer said, observing that military officials are "being very careful how they parse their words." O'Reilly repeatedly said that he wanted to interview Kirby, the Pentagon press secretary, on air. "From a personal viewpoint," he said to Shaffer, "I hope you're right." O'Reilly concluded, "We're in this for the truth."